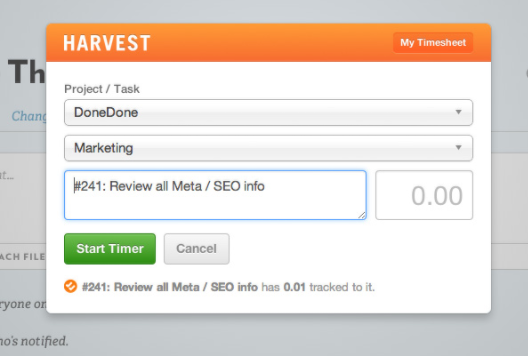 We're big fans of Harvest and highly recommend them if your team needs a thorough, easy-to-use time-tracking system. You can add time on any issue to your Harvest timesheet by clicking the Timer icon located above the comment box at the bottom of an issue's detail page. A Harvest pop-up will appear, allowing you to enter time manually or begin the Harvest timer. DoneDone will also automatically fill the Harvest description field with the number and title of the issue. You can add or edit the description from there. 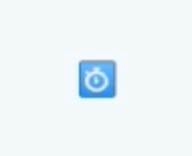 If you're using the Harvest timer, the icon will now remain blue until you click it again to stop the timer. 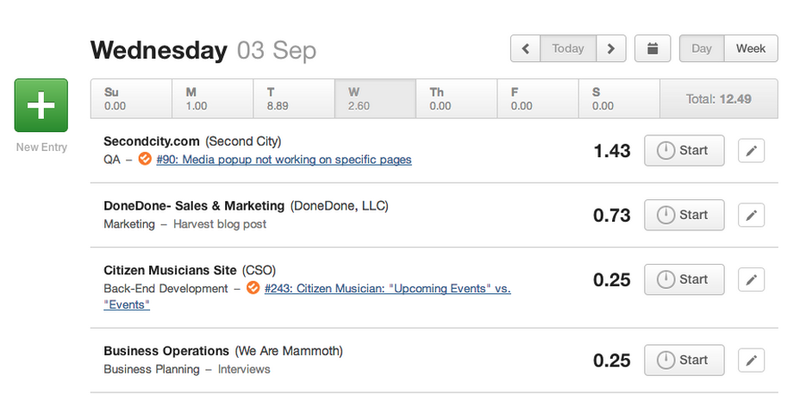 You can also go to your timesheet by clicking the My Timesheet button from the pop-up. Happy time tracking!